As I drove away from the rainbow and ventured inland, I was suddenly taken aback by the trees overhead. The lane was covered with a tangled covering of branches as they searched out the path to the best light. It some ways it reminded me of the ‘dark hedges‘ in Ballymoney, Co. Antrim, Ulster. As a Tree Specialist I feel like the trees are always twisting me in every which direction. Nice pic! I love it. 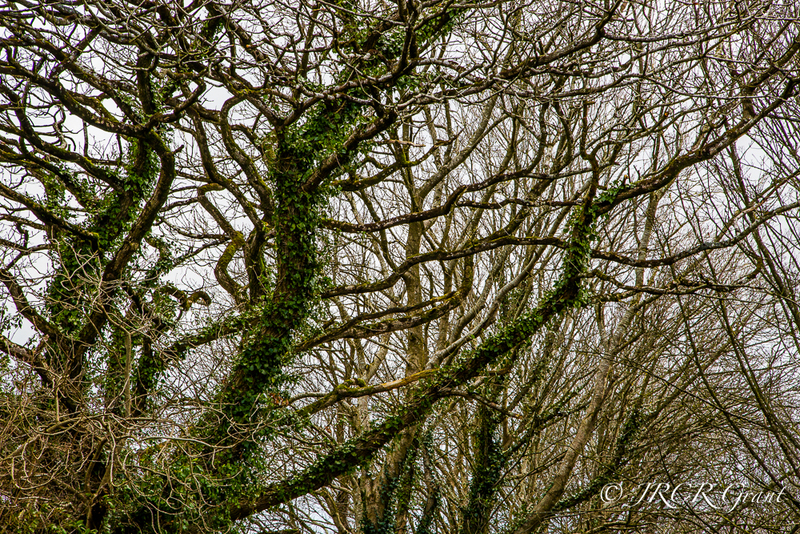 The natural twists of a tree are captivating, great capture MM. I like your reference to ‘reflection on water’ that is exactly what I thought of on seeing it first, John. It is amazing what we see when out there in the field. ‘Great minds’ all of that……..Have a great weekend yourself John.